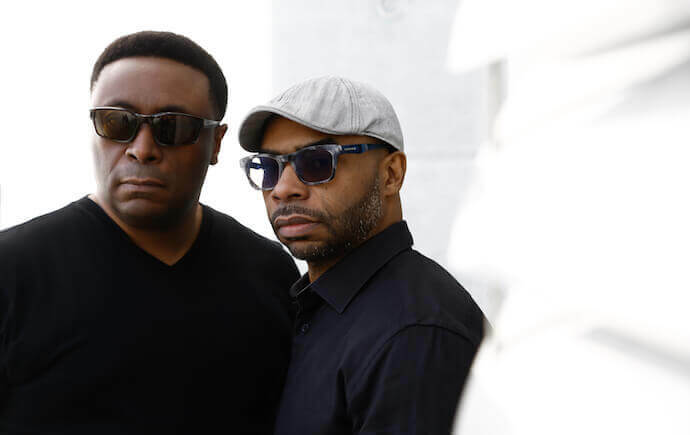 Ahead of Pretty Pretty Good’s second event at brand new rave space Southbank Warehouse on Friday November 3rd, we caught up with legendary Detroit house and techno producers Octave One. They’ll be bringing their enigmatic live show to a huge line-up, featuring FunkinEven, Peggy Gou, Tasker, Re:ni, Chekov and many more. So, all five of the Burden brothers are DJs. Can you begin by telling us a bit about your musical upbringing together? Early on our mother pushed for us to have some kind of musical training. I don’t know if it was for our betterment as young individuals, or if it was just to keep us all out of trouble.We started out young, taking piano lessons about the ages of 6-9 years old, and we all branched off to playing other instruments after our introduction via the piano lessons. You also release tracks under the alias Random Noise Generation. What separates the two? A little bit of madness separates the two different styles of music. We started off releasing under Octave One, which was our first group and it was pretty much all original vibes – free from samples and such things. We’d really focus on synth sounds and drums created all from original thoughts and ideas. Even when we did vocal work it was with original thought in mind. RNG (Random Noise Generation) was far from that! It was our excuse to break all of our rules and focus on sampling; we take samples and really twist them up to take them as far away from the original sound or context as possible. RNG is also a lot more aggressive usually compared to the more melodic and softer sound of Octave One. You’ve created a wide variety of sounds over the years, from the 80s pumper ‘I Believe’, electro rollers like ‘Pain Pressure’ to funky classics like ‘Black Water’. How do you keep things fresh? Our goal is to just have fun in the studio and jam out! If it’s a surprise to us and we like it, then we just hope that it will be a nice surprise to our audience too. But we always like to keep the music fresh because we have a lot of fans that see us multiple times; we can get bored very quickly, so we have to keep things moving to keep it exciting. You hail from Detroit, the birthplace of techno. How did you set yourselves apart from other music producers when starting out? Yeah, being from Detroit means techno is our birthright! But it wasn’t hard to set ourselves apart in the beginning because the main goal for all of us who were producing back then was to be as different as we possibly could. We always tried to introduce new styles to the scene that would set us apart. In order to produce music, you had to purchase gear which was hardware. It took quite some time to save enough money for the equipment and even longer to perfect how to use that piece of valuable gear you just purchased. You didn’t want to just buy that piece of equipment, you wanted to be the true master of it! Is the techno scene in Detroit its own entity? Is there much crossover with the motown/soul history? With there being so many people that were part of motown back in the day it’s bound to have some areas of intersect, but for the most part Detroit techno is its own entity. But yes, there are a few members of the techno scene that have either limited ties to the motown area, or are direct descendants of people who were part of that scene. You’ve been in the techno game almost three decades. How has it changed from the 80s to 2017? There are many more productions being released now than there ever was in the 80s – so much so that we can barely keep up with the amount of tracks being released! There is also probably four times the amount of producers trying to get into the market at the same time, plus many more songs considered to be classics were released in the 80s compared to now. Music seems to be a lot more disposable now: it’s promoted, released and then shelved in almost the same week now. Before you know it, a track is gone never to return to the dance floor again. 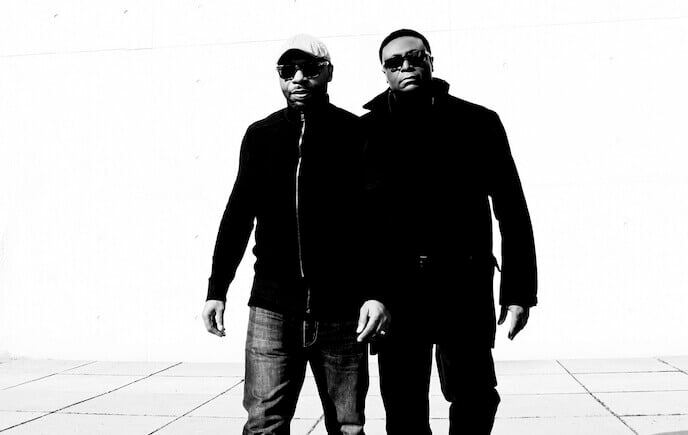 Octave One’s live show comes to Pretty Pretty Good on Friday 3 November, when they hit Southbank Warehouse for the second time following hosting its opening on September 22nd. Tickets are available now from Resident Advisor. To read more about Southbank Warehouse head to our recent feature here. My Beautiful Black Dog's Brigitte Aphrodite: "Glitter is strongly encouraged"